I have a FREEBIE to share today!! 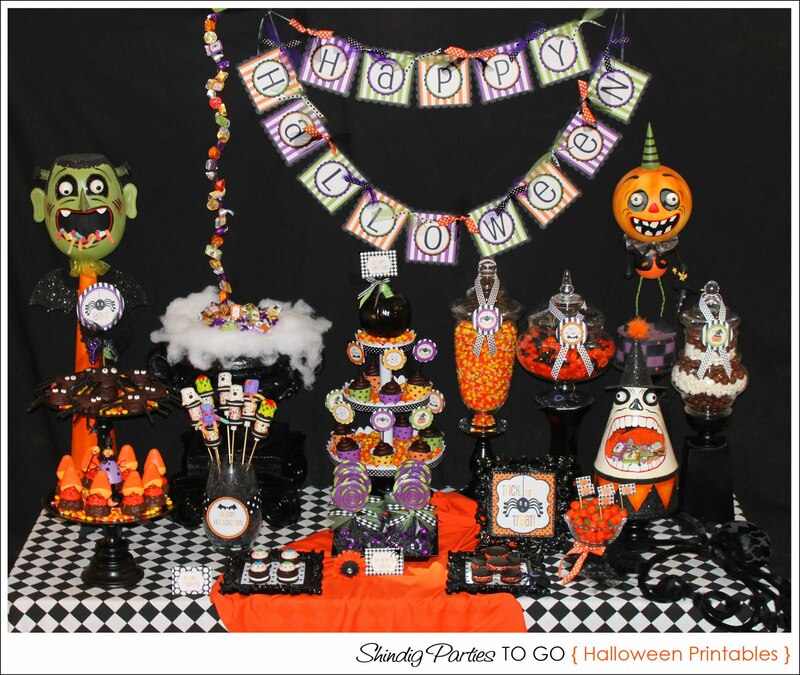 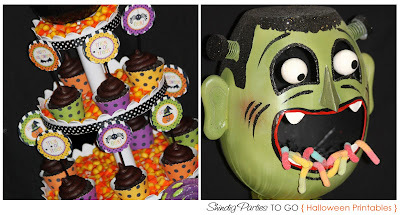 Amanda's Parties To Go Halloween Collection of printables seen on our Halloween table in the picture below. 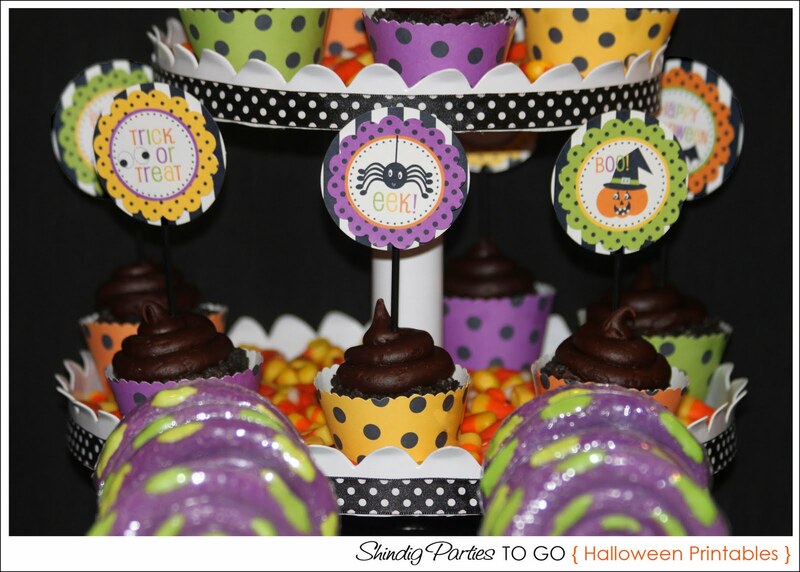 These are so cute on a cupcake stand paired with our cupcake toppers - just print them out, cut them out, wrap around an already baked cupcake and secure in the back with tape. So easy! 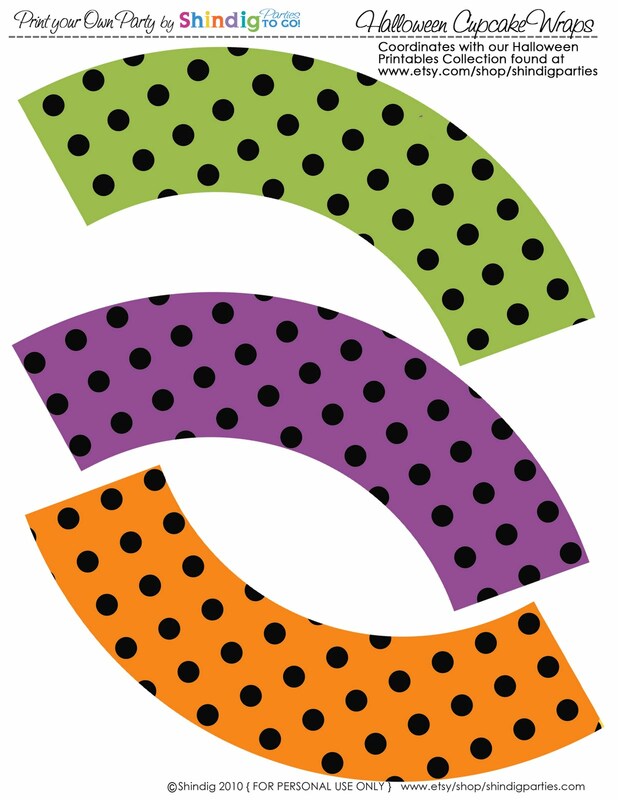 Entire Halloween Collection on SALE NOW for only $9.00!